How Can I Make Best Use of My Health Savings Account? A Health Savings Account or HSA is a special arrangement that allows consumers of high deductible health care plans to put away a certain amount of pre-tax earnings each year for personal health expenses. 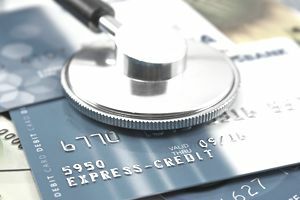 According to most recent surveys, around one-quarter of all participants in high deductible health care plans also participate in a health savings account, and this number is rising (up from 8 percent in 2014). This is not surprising, since the average annual out-of-pocket cost per employee went up by as much as 230 percent in the last ten years, based on data from the Kaiser Family Foundation. There are many benefits to having an HSA account. First, it acts as a double tax shelter as the income is not taxed going into the account and it’s available for use on non-taxable medical goods and services. Second, the funds are fully portable, so if a person changes jobs or leaves a job behind, the funds are theirs to keep and use for future medical related expenses. From an employer standpoint, health savings accounts also save on health care premium costs because consumers are selective about where they spend their money. There is a movement towards employees taking on a greater share of medical costs. The National Bureau of Economic Research conducted a study that showed employers who offered HDHPs along with HSAs reduced health care costs over a three year period (compared to those who did not offer these types of options). How Much Money Can Be Saved in an HSA? Each year, the Internal Revenue Service dictates how much money can be allocated to health savings accounts, and the 2016 contribution limits are $3,350 for an individual and $6,750 for a family (up $100 from 2015). It’s important to note that the high deductible health care plan must have a minimum out of pocket of $1,300 per year in order for members to qualify for use of an HSA. These funds roll over from year to year, and they are not taxed unlike other types of work savings programs. In the course of a 20 year career, an individual putting away the maximum funds into an HSA could save up around $67,000 and a family could put away $1.3 million; barring no reductions in the allowable amounts happen. As a smart health care consumer, there are ways to get the most from this benefit. First, if your workplace offers a HDHP that has a $1,300 out of pocket deductible, sign up for the health savings account too and put the minimum allowable amount into the account initially. As you receive promotions or salary increases, allocate this extra money into your HSA. If your company matches the dollars, put up to the maximum money you can each year. Use the account only for medically related costs. Shop around for the best rates on medical services, health care providers, wellness needs, medical equipment, and prescriptions before you use your health savings account. Ask about being self-pay instead of putting in a claim to your insurance company for services that the insurance doesn’t cover, like laboratory services and durable medical equipment. Many providers will be happy to accept the immediate funds of an HSA payment and give a generous discount rather than wait for a medical claim to come through months later. Keep track of your expenses by saving all receipts and logging them into your budgeting software. Because the HSA is controlled by a bank, you can often get statements for use on your annual tax calculations. You will be responsible for all the purchases you make using your HSA, so treat it with care and maintain good records. Talk to your employer if you are unsure of how you can spend your funds. If you change health care plans or terminate employment, you take your account with you, so be sure to link it to a personal email and have your login information.